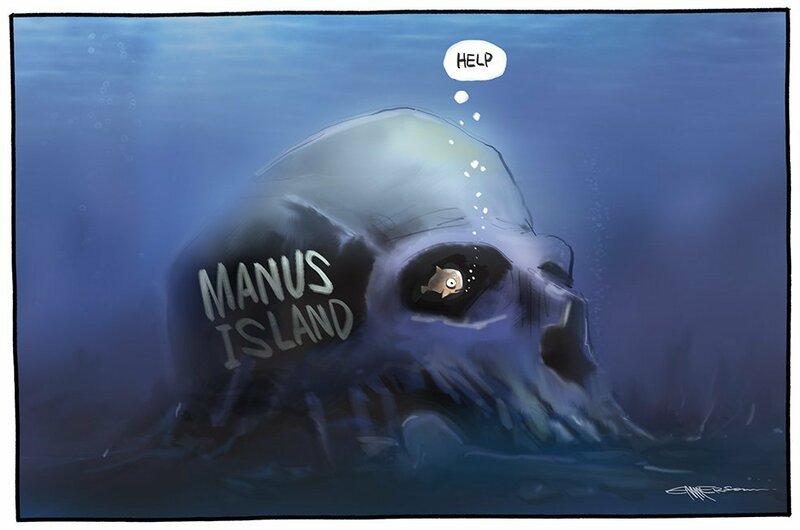 Eaten Fish is a cartoonist and a refugee from Iran who sought refuge in Australia. This landed him in one of Australia’s notorious detention centers. He’s languished there for more than three years during which he’s suffered all manner of abuse. He’s in bad shape and needs medical attention. 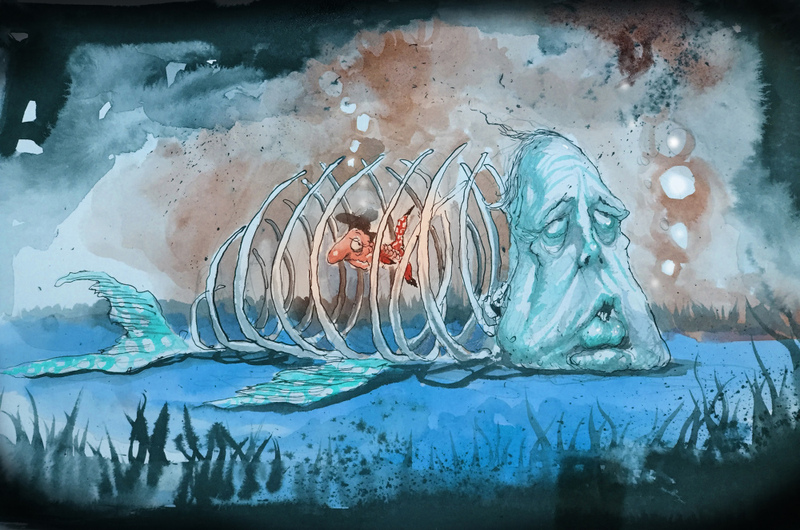 Help us ratchet up the pressure on the Australian Government to immediately remove Eaten Fish from the Manus Island detention center and bring him to Australia for the specialized treatment he requires. Send email and tweets to Prime Minister Turnbull and Peter Dutton, Minister of Immigration. If you’re in the US send your thoughts to Australia’s Ambassador to the U.S., Joe Hockey. If you live somewhere else consider sending something to the Australian Ambassador near you. Let them know the abuses on Manus Island and the other offshore detention centers need to end and Eaten Fish needs to be released and given the attention and care he needs. Please share far and wide with your friends and networks.